Are you earning hundreds of dollars in rewards dollars from your credit card? If you aren’t, you’re missing out on more money – money that could go back into your bank account. Most credit cards offer some kind of rewards program: airline miles, gift cards, or cash back. But most people assume that the amount you can earn is small and not worth paying attention to. As NextAdvisor notes, earning 1% back on purchases is the credit card standard. But you can earn much more. You may not even realize it, but many credit cards offer rotating rewards. These “bonus” rewards categories give you a chance to earn a higher percentage back. And if you aren’t using your rotating rewards correctly, you’re leaving rewards – and dollars – on the table. Do You Know What Your Rewards Are? Credit cards with rotating rewards offer the biggest incentive to spend money. But you’ll only rake in the rewards if you know how to earn them. Rotating reward cards offer limited-time bonuses. Every 3 months, you get a bigger percent back on certain purchases; for example, 5% back on movie tickets or gas. The categories are always changing. With a rotating rewards credit card, it’s critical that you know which purchases get you the biggest percentage back. Some credit card companies choose the categories for you. Others let you choose. If you know what the biggest rewards categories are, you can rack up free rewards dollars faster. If you’re getting 5% back on groceries, pay for every grocery store trip with your credit card. Has the grocery bonus ended? Use a different payment method. Only use your rotating rewards card where it’ll have the biggest impact. Every 3 months, you need to see what rewards are changing. With a quick online search, you can find out what your credit card is offering. Your credit card company doesn’t want to give away free rewards dollars or points. So there’s a trick to using rotating rewards: in order to get the bonus, you have to activate it. Your credit card company won’t tell you when a new quarter has arrived and rewards are changing. It’s on you to search and find out when you need to activate your rewards. If you don’t, you won’t get the bonus. Miss the activation period, and you’ll lose 4% of the potential money you could earn. You could lose as much as $75 in cash back rewards. 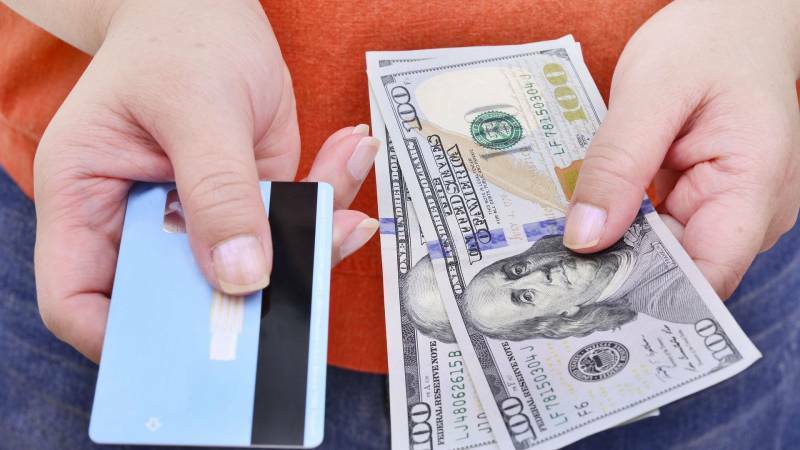 If you want to maximize your rewards even more, experts from Credit.com and Real Simple suggest one rule: have a few different rotating rewards credit cards. With multiple rotating rewards credit cards, you can earn 5% back on just about any purchase. One card might offer a bonus for groceries; another could offer a bonus on gas; still another credit card might make travel purchases the quarterly bonus. Use whichever card is offering the highest rewards percentage on whatever you’re buying, and you’ll never earn less than 5% back. To find the best rotating rewards credit cards, you’ll need to perform a search and compare options. Don’t miss out on potential cash back rewards. Why wouldn’t you want to receive some of your hard-earned money back with every purchase? Those small rewards could turn into sizeable sums. To maximize your credit card rewards, do your research. Know what bonus categories are available. Understand what your credit card is offering. Stay informed with an online search. Don’t have a rotating rewards credit card yet? Does your current card feature the best rewards options? With an online search, you can compare new credit cards, signup bonuses, and rotating rewards to maximize your reward-earning potential.